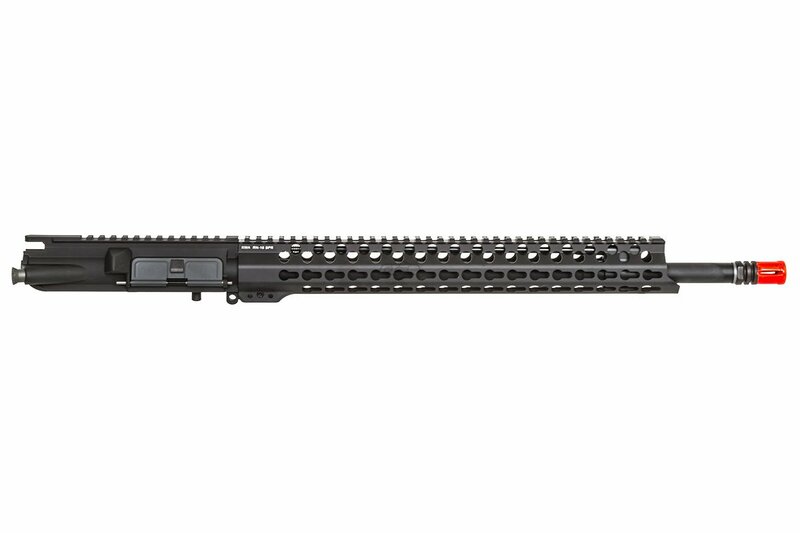 The KWA Ronin SPR upper receiver group is made for the new KWA Ronin/VM4 line of AEGs for a versatile, customizable platform. 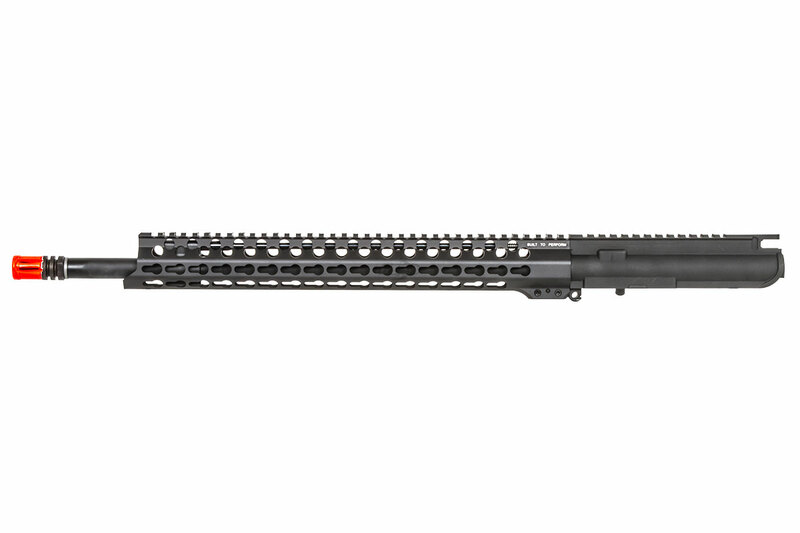 This URG features an 18 inch barrel and a 15 inch keymod rail that sit on a one piece metal upper receiver, and a polymer hop up unit, featuring KWA's 6.05 brass inner barrel and bucking on the inside. The barrel is capped by an orange flash hider, as required by law. We do not have any complete uppers, you would have to build it from the parts you want. They will not fit as this upper is designed to work the with the KWA VM4's and ronin series. Unfortunately KWA does not have the best track record with their stuff working on other brands. 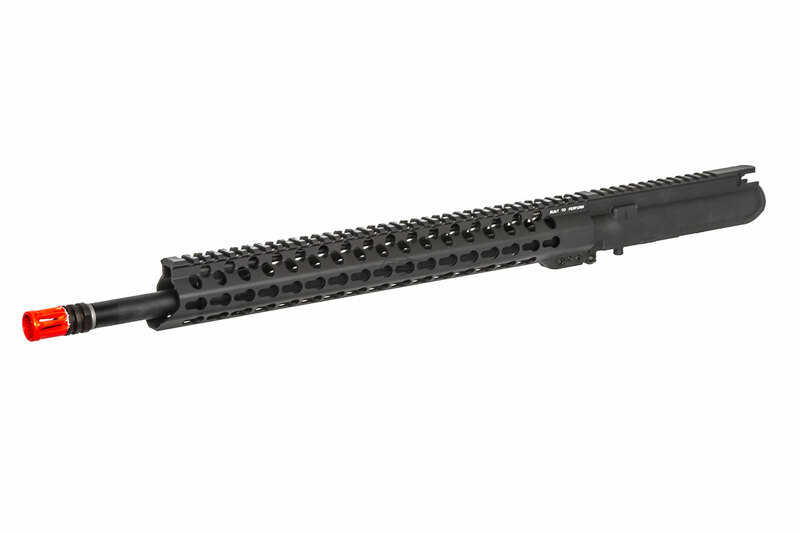 Your best bet would probably be to build one off of a VFC upper.